Ever thought there was a better way to open a banana? Me too. Thankfully, this Viral Friday we’ve found a person who takes some advice for our monkey cousins on getting into the cursed fruit- or is it technically a seed? 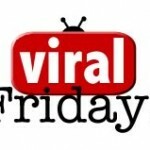 We’re back after a week away from the Viral Friday feature. Who knew how much we would miss during our blink. Here are this week’s five best according to us. Starting with video of Jacko’s last rehearsal and moving to alien life forms in the US. 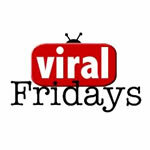 Yes, it’s the third of our Viral Fridays feature- no, we didn’t think it would last this long either. This week SuBo, Lewis Hamilton and Barry from Eastenders.